Welcome to the provincial website for the Nova Scotia Community Health Boards (CHBs). The CHBs are a committed group of volunteers who are working together to improve the health of their communities. In total, we have 37 CHBs located across the Province of Nova Scotia. CHBs serve a vital role in the well-being of their communities, helping to support many community-based projects and partnerships. This includes providing grants to community-based groups to support projects focused on health promotion and the social determinants of health. This website will provide you with more information about the CHBs—who they are and what they do, as well as information on many of their latest projects and initiatives, current health plans and health plan priorities, wellness fund information and information on how you can get involved with your local CHB. While we continue to build this website and make the most up to date information available to you, we encourage you to contact your local CHB Coordinator for more information. To find a CHB near you, click here. Bienvenue sur le site Web des conseils communautaires de santé de la Nouvelle-Écosse. Les conseils communautaires de santé (CCS) sont composés de bénévoles qui travaillent ensemble pour améliorer la santé de leur collectivité. Il y a en tout 37 CCS dans la province. Les CCS jouent un rôle essentiel pour le mieux-être de leurs collectivités en contribuant à l’appui de nombreux partenariats et projets communautaires. Entre autres choses, ils octroient des subventions à des groupes communautaires afin d’appuyer des projets qui font la promotion de la santé et qui sont axés sur les déterminants sociaux de la santé. Le site Web fournira plus d’informations sur les CCS, notamment leur composition et leur travail, de même que des renseignements sur un grand nombre de leurs initiatives et de leurs projets les plus récents, sur les plans de santé en vigueur et les priorités énoncées dans ces plans, sur le Fonds pour le bien-être et sur la façon de vous engager auprès du CCS de votre région. Pendant que nous continuons à bâtir le site Web et à y afficher les informations les plus à jour, nous vous invitons à communiquer avec le coordonnateur du CCS de votre région pour obtenir plus d’informations. Pour trouver le CCS le plus près de chez vous, cliquez ici (en anglais seulement). Throughout the year, the CHBs undertake several projects and initiatives that support the implementation of their community health plans. Many of these projects and initiatives are in partnership with other local community groups and organizations. 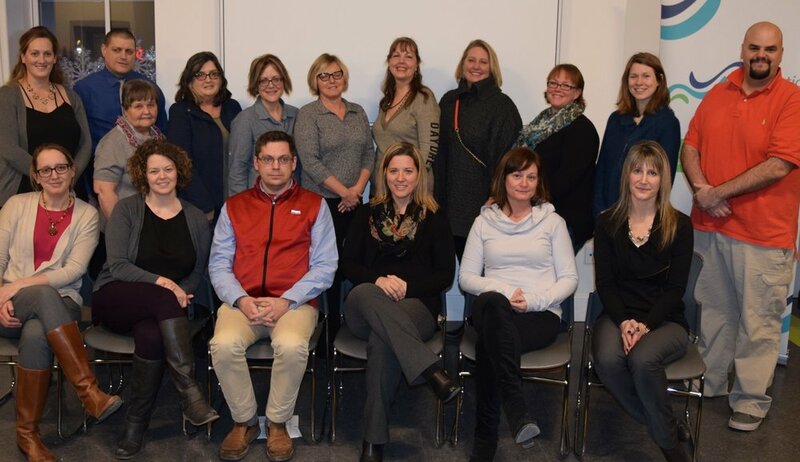 The Collaborative Community Health Plan Launch and Wellness Grant Showcase for the Community Health Boards (CHBs) of Along the Shore, South Colchester and Truro & Area was held in January 2017. This event celebrated the launch of the health plan and invited various community groups to present an overview of their local projects funded by CHB Wellness Grants. 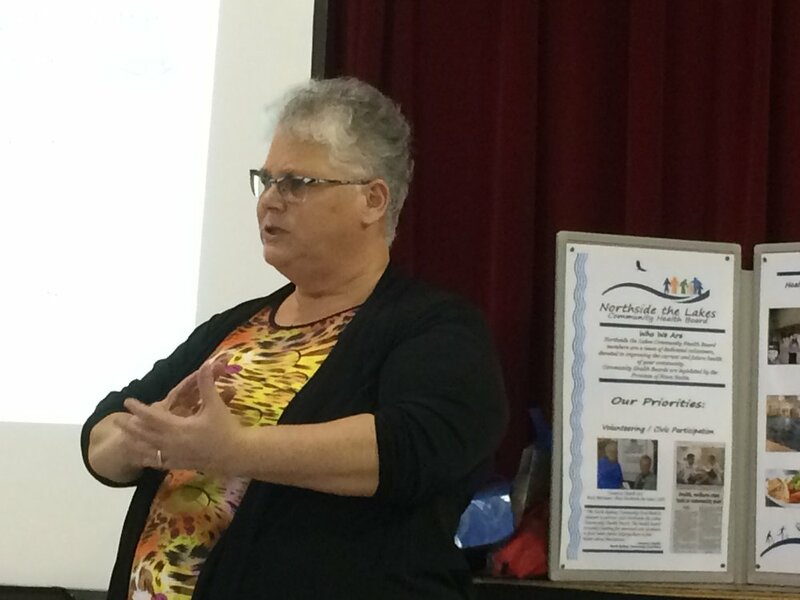 In March 2017, the Northside the Lakes Community Health Board met with Eskasoni First Nation residents and health professionals to hear about health issues impacting the Eskasoni community, share information with the community about the CHB and discuss how to best get members from the Eskasoni community involved with the CHB. Lunenburg County Community Health Board Chairperson, Patricia Culbert, was honored to take part in the official opening of the new community trail at West Northfield Elementary School which coincided with the Terry Fox Run on September 29, 2016. This trail was one of 20 local projects funded in part by Lunenburg County CHB’s 2015-2016 Community Wellness Grant Program. The accessible trail will be an asset not only to the school but to the rural community as a whole.